Last Thursday our government took almost the entire working day to discuss yet again, one of the most controversial issues that remains on the bipartisan table: the unrelenting health care debate. President Obama, courageous, resilient, and perhaps stubborn as he is in bringing us up to par with the rest of civilization, is fighting for this very thing--a reform for a much needed outdated, outrageously filled with medical malpractice American health care system. "As one of the richest countries in the world, America needs to catch up with the rest of the developed countries when it comes to one of our basic needs as human beings," said the head of our country with so much contention that any listener could imagine the young president's mother struggling with cancer while having to battle with the health care system in this country--and losing. Fifteen years later after her death, the country has endured a reconfigured economical landscape and yet as we continue to lead the globe on setting the bar for worldly trends, America continues to lag behind developing countries, such as Colombia, Chile, and Costa Rica--being ranked the 37th in effective, or shall we say defective health care systems in the world. 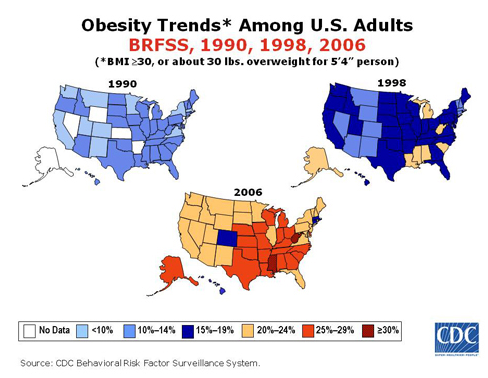 However, and this is a stunning however, where we do rank as the absolute USA number one, is in obesity. At the very foundation of this debate, there is a growing epidemic that is killing this country. As you will see in Jamie Oliver's talk on the Ted video featured below, four Americans die every 18 minutes from acquiring deadly eating habits. 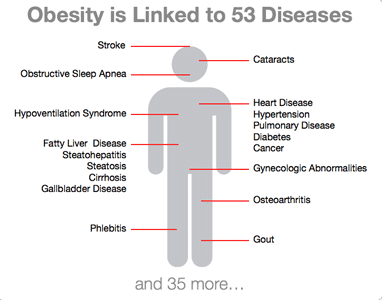 30.6 % of Americans are considered obese--holding the most overweight people in the world. Think about it, this is three times more than the current unemployment rate. This nation wide crises should be one of the biggest conversations we should all be having. As of today, if this country continues to grow itself towards a blubbering slow death, we can expect the future generations of America to have at least a decade taken off from their lifespan--one of the leading digressions in evolution to date. We are at a critical point, where we no longer have the luxury to be lazy, over-indulgent, and ignorant about what we eat. Becoming a fast food nation, should not, nor should it ever have been a popular trend to spread all across not just this country, but the globe. And what we all need to acknowledge, sprinkled all over this gigantic health care cake, is that obesity-related-diseases is taking a big slice of the health insurance pie. 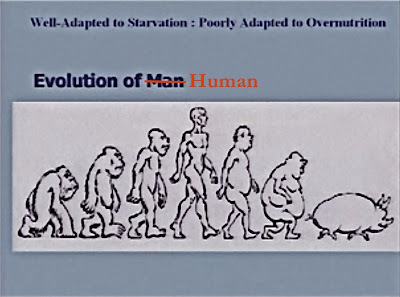 This matter of fact, should not only be looked upon as a side note to the argument, but as one of the leading epidemics that is in dire need of regulations in America--if not for the sake of ensuring that we will not demote humanity into devolving itself to a lower ranking of the food chain system by eating ourselves to death and literally transforming ourselves back into swines. 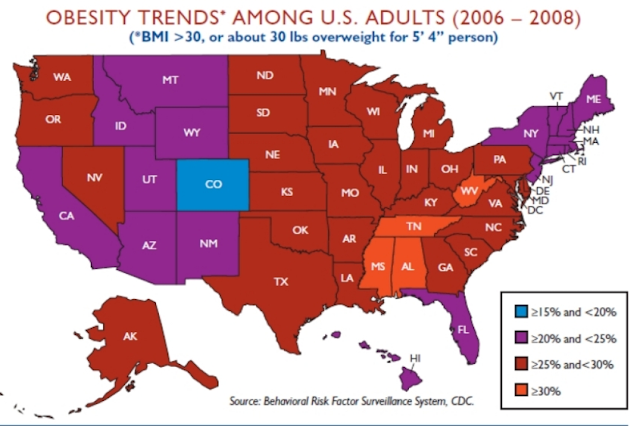 Colorado ranks as the healthiest state in the US, being the only state in the country hitting about less than 20% of the obesity rate--in a nation where 6o million of adults are in fact obese. However, this comes to no surprise, since the state of the Rocky Mountains highly promotes exercise and health--with restaurants, cafes, and supermarkets that thrive in providing meats and produce that are organically grown. That's the thing about staying fit and healthy, there really is no secret formula or pill that anyone can take to look good and feel good. It's pretty straight forward--if you eat well, you will look well; if you abuse your body, your body will look abused.